Your friend is pressuring you to decide what you want to eat. Grasping the menu, your palms are sweaty, knees weak, arms are heavy. 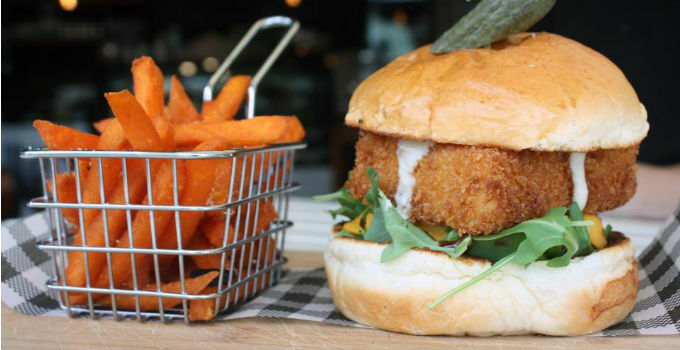 You can’t choose between the mac ‘n’ cheese, the pizza, the burger or the croquettes. The waiter stares at you. You’re nervous but on the surface you look calm and ready. Does this sound like your normal ordering experience? Does the pizza look good but your heart calls for the mac ‘n’ cheese? Never fear, because we’ve got the best mac ‘n’ cheese dishes – burgers, sandwiches, pizzas, and croquettes – so you never have to lose yourself in the menu again. Melt Brothers aren’t just melting cheese, their melting our hearts. How, you may ask? With their mac ‘n’ cheese toasted sandwich. In a dish that will send all carb and cheese lovers into a mad frenzy, Melt Brother have sandwiched the deliciously cheesy pasta between two slices of fresh bread then toasted the creation to perfection. So, if someone is grilling you for somewhere to eat tonight, Melt Brothers is the place to be. It may be called Little Clive but there is nothing little about the mac ‘n’ cheese beef burger. Deep fried mac ‘n’ cheese, a beef patty, and melted cheese are all pressed between two fresh buns to create a burger that will probably make Clive not so little anymore. Say slice to meet you to the mac ‘n’ cheese pizza at Little G. Mac ‘n’ cheese is loaded on top of a doughy and delicious pizza base before being sprinkled with a little extra cheese, because you can never have too much cheese. Grab a pizza this cheesy dish and turn your night into a grate one. Everyone knows that good things come in threes, so the combination of pasta, fries and cheese – the three most important food groups – has made Mac From Way Back’s loaded fries the dish of our dreams. Their crinkle cut fries are covered in mac ‘n’ cheese then sprinkled with spicy sauce and green onion. The food truck is always on the move, so chasing it down will burn any calories you eat there. The mac ‘n’ cheese squares at Red Hook are not to be missed out on. Be there or be square for the battered, breaded and deep fried squares of deliciousness – all for only $7. $7 for a stomach full of mac ‘n’ cheese? That deal is fair and square. Who knew that pure happiness came in cheesy, deep fried spheres? Apparently, the Defiant Duck knew this information because their mac ‘n’ cheese croquettes are the light of our lives at the moment. The batter and fried balls are served with red slaw and Philadelphia cream cheese. If anyone was going to create the perfect American mac ‘n’ cheese snack it had to be made by the American food specialists, Brooklyn Depot. 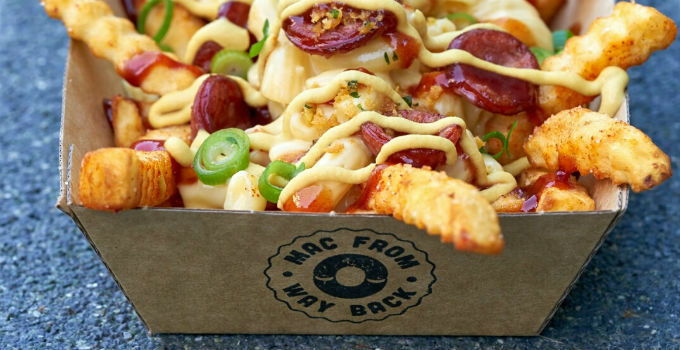 The restaurant behind tasty American style burgers, hot dogs and wings have brought mac ‘n’ cheese balls to South Bank, filled with Depot special sauce and deep fried to perfection.